My Economics professor once told me that having a lot of options or choices is not always a good thing. This can lead to analysis paralysis and you’ll feel a bit overwhelmed, due to the fact that there’s an effort required in making the right decision. With thousands of WordPress themes available online to choose from, you’ll be blown away for sure and resort to inaction or the worst part is choosing a not so good theme. In a situation like this, it is vital to know what exactly you need. First things first, you need to answer one of the most important question: A paid or a free WP Theme? A couple of years ago, the price of a theme can be used as an identifier for its quality. Free themes were often coming with malware to capture sensitive user data from the user and quality wise – it’s not so good. But things have changed, as the developers in the WordPress community already created thousands of free to download themes so there’s plenty to choose from. But then again, free and premium wordpress themes have their own pros and cons, which we’ve detailed below. The main reason why users prefer premium theme is that it comes with free updates and support. Given the fast paced evolution of the WordPress as a CMS, having a theme with updates and fixes to critical issues is important. Free themes are popular and widely available online so it’s a no brainer to see thousands of websites utilizing the the same free one. Premium themes are something less common though. Premium themes come with free support and documentation online. Some even comes with a detailed PDF which explains how to get the most out of the theme. Documentation and supports is not common with free wordpress themes. Premium themes also have the best support. It can be a forum site, via live chat or via an email ticketing system. With free themes, you just have to Google it or ask/go to public forum for support. Most, if not all free themes have a required link to appear in either the footer of the site which credits the theme’s author. With premium or paid themes, rest assured that there are no links are required embedded in it. Paid themes will require you to invest anywhere between $20 to $200. Premium WP Themes comes with a custom admin panel that has a variety of customization options and settings, which can take time to master or even to learn and set up. Premium themes usually have unwanted features and extras. These include slider plugins, a profile manager and skins. Yeah, though these features make the theme versatile, it also bloats the theme. In a nutshell, the most important factor to look for in a theme, whether it is a paid one or free, is the quality of the code, security, and performance. The best way to measure it is via reviews or the feedback. Make sure that you read what customers are saying about the theme. Themes make the feel and look of the site. Design and user experience are important factors in choosing a theme. Yeah, it can be quite subjective, but you would be able to boost the odds of finding the best theme for you by following the steps below. First thing that you got to do is use Google to search on sites where the best web designers offer their wordpress themes. Sounds pretty obvious eh? Yeah, but is still worth mentioning. ThemeForest is a personal favorite, but there are other good sites out there like StudioPress or Elegant Themes. Next step is to try the demo view/version of the theme. Then answer these questions: Is it responsive? Is it easy to use? Is there enough white space? Is it something that suits your personality and style? Last but not the least, make sure that the theme is cross-browser compatible and is made with accessibility in mind. 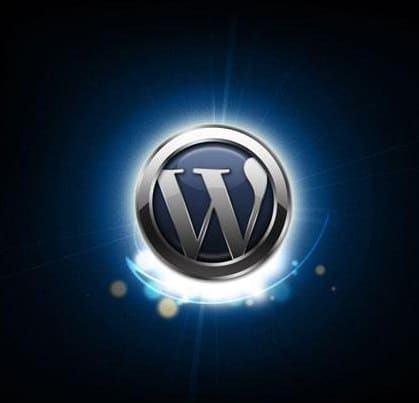 When choosing a wordpress theme, make sure to look for an “SEO-friendly” theme. But always remember not to rely on the theme’s description as most designers label their themes as SEO-Friendly. Use an extension for the Chrome browser, like MozBar or SEO Site Tools and run quick SEO checks on it to determine whether it’s SEO friendly or not. Yeah, there are lots of factors to consider when choosing a theme. The price, design, responsiveness, “SEO-ness”, ease of customization, security, etc.. But then again, it all boils in to one – it should be built with quality in mind. Look for a known web developer or a company as they have a reputation to live up to. With this in mind, you’ll be sure that their themes are of higher quality than developers or companies who don’t. There’s no perfect WordPress theme, and we all have to compromise. With our recommendations in this article, you are now better informed to avoid those really bad wordpress themes and hopefully you’d be able to choose one that is coded nicely, SEO-friendly, and comes with all of the features that you need.